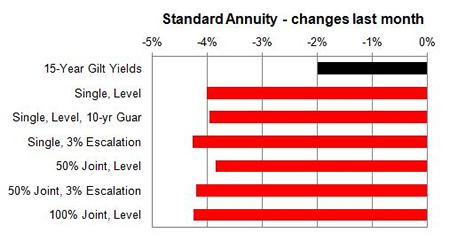 Annuities have reduced again this month by up to 5.2% with gilt yields falling even further as S&P have downgraded UK credit rating from AAA to only AA sending investors to the security of safe havens. Credit agency S&P has reduced the UK's credit rating to AA down from AAA following the EU Referendum result as this could now lead to a deterioration in the countries economic performance. Other credit agencies have also acted with Fitch reducing its rating from AA+ to AA and Moody's changing the UK outlook to negative. The 15-year gilt yields have reduced by 20 basis points this month and standard providers decreased rates by an average of 4.07%. We would expect in the short term rates may increase further by 2.07%. For smoker and enhanced annuity providers decreased their rates by an average of 3.20% on average and in the short term rates may increase by 1.20%. 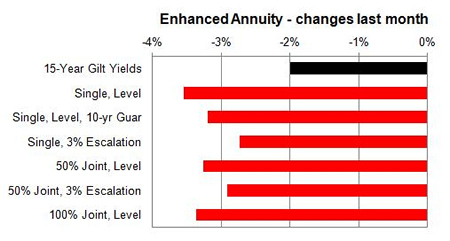 For the month of July 100% of annuity rates decreased by up to 5.2% following the UK's lower credit rating of AA. Standard annuities decreased by an average of 4.07% during the month with a larger decrease of up to 5.20%% for those aged 55 buying single life level annuities. 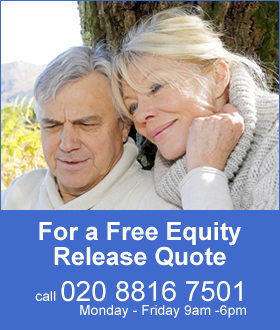 For enhanced and smoker providers rates all rates decreased by an average of 3.20% with a larger decrease of up to 5.21% for those aged 65 buying single life level annuities.